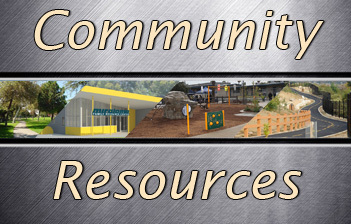 Miraloma Park and Family Resource Center will give residents amenities for the entire family to enjoy. The park will include a playground, a skate area, an interactive water feature, an exercise and walking fitness trail, picnic area with BBQs, and drought tolerant landscaping. The Family Resource Center includes three administrative offices, a classroom, a teen room, large multipurpose meeting space, a kitchen and restrooms. The approximate two acre park was designed with input from local residents through a series of meetings and community outreach. All the details and amenities, including the colors of the 4,300 sq. ft. Resource Center, were chosen by the residents. The residents said what they wanted in their local park, and the City is delivering those results. The City has partnered with the Park Lane community near Miraloma Park for many years in efforts to improve the quality of life of neighborhood stakeholders. Through the City’s Neighborhood Improvement Program, representatives from various City departments work closely with residents, businesses and property owners to address neighborhood concerns, increase participation, strengthen neighborhood relationships, and generally improve the quality of life for Park Lane residents. Anaheim’s extensive community meeting process was so successful in this neighborhood that the granting agency - the California Department of Parks and Recreation, Grants Division – invited City staff to speak to the Agency and other municipalities on the City’s success in working with residents in planning the park space. The Miraloma Park and Family Resource Center is located at 2600 E. Miraloma Way, Anaheim, CA 92806, near the 57 and 91 freeway interchange.